Twilight Language: Top Ten American "Bridgewater Triangles"
As a slightly renamed documentary, The Bridgewater Triangle will make its national television debut on Saturday, September 5, 2015, at 10:00 PM Eastern Time, on the cable network Destination America. The channel will be airing a condensed broadcast hour (42 minute) cut of the film, with their newly created subtitle, America's Bermuda Triangle. The repeats will exist for years, and the awareness of the Bridgewater Triangle will expand. The addition of the subtitle to this edited version of the documentary occurred weeks ago, perhaps even months before Wednesday, August 26, 2015's major media eruption of the name "Bridgewater," in conjunction with the first ever, on air, live shooting of two journalists. 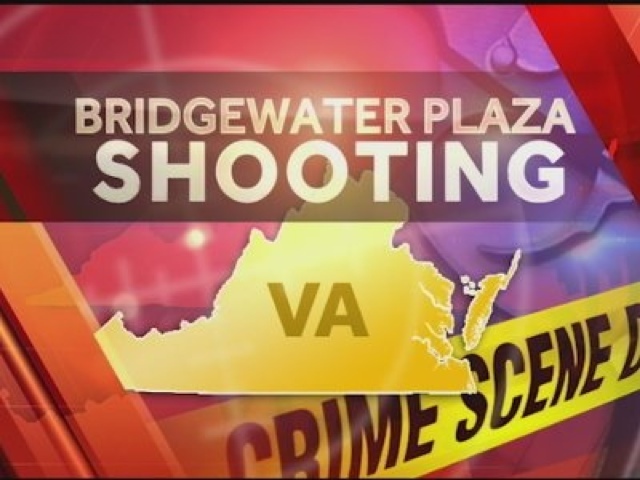 It was not lost on me that the shooting event happened at the Bridgewater Plaza in Virginia. Bridgewaters, wherever they are, needless to say, have had a long history of strange happenings and phenomena. In the 1830s, in Bridgewater, Pennsylvania, a small hairy upright hominoid creature was confronted by a man picking berries; the beast ran off when chased. In December 1969, and then again in March-April 1970, near Bridgewater, Massachusetts, in the midst of the future named Bridgewater Triangle, many sightings of a Bigfoot, including by a police officer, took place. In the summer 1976, near Bridgewater, New Jersey, three teens saw a Bigfoot while they were playing in the woods and then found three-toed footprints. On July 27, 2015, a UFO sighting occurred in Bridgewater, New Jersey. There are also reports of a blond ghost around Bridgewater, New Jersey. Bridgewater - a bridge over a body of water - evokes the challenge of the terrestrial over the aquatic. Of course, the new subtitle given to the documentary by the cable network did seem relatively silly, when the first announcement was made. The actual coining of the term "Bermuda Triangle" seems to point to Vincent Gaddis, a Fortean friend of Ivan T. Sanderson. In the February 1964 issue of Argosy, Vincent Gaddis' article "The Deadly Bermuda Triangle" used the phrase widely for the first time. Sanderson wrote the well-known followup article, "The Twelve Devil's Graveyards Around the World," in 1972, for Saga magazine. 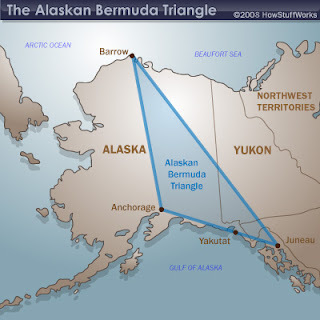 The real Bermuda Triangle is partially in America, since Florida makes up the eastern side of that "triangle," so why change the perfectly good name from The Bridgewater Triangle to America's Bermuda Triangle? As it turns out, it was a subtitle and the use of that moniker acknowledges this is a new edit, and not the directors' cut. 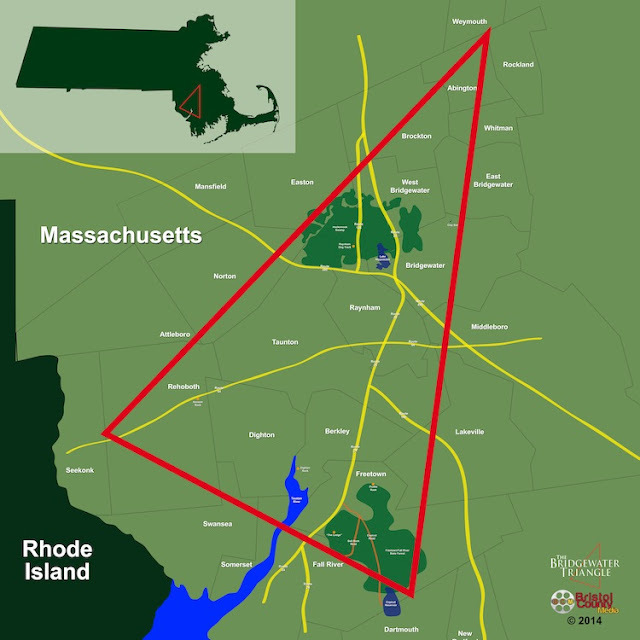 Destination America is also referring to what they feel is the better known "Bermuda Triangle" name, although they might be surprised by how many people know about the Bridgewater Triangle, nowadays. Plus, most of the other "Triangles" have been labeled with those names because I began this practice in the 1970s, with the Bridgewater Triangle. 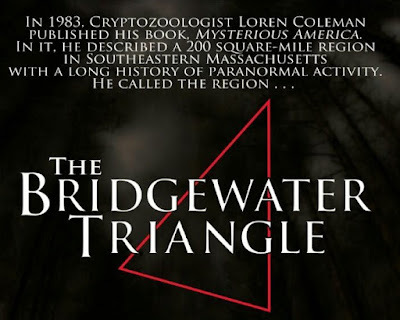 The Bridgewater Triangle was coined in the late 1970s (circa 1976) by yours truly, Loren Coleman, who published the phrase for the first time in the April 1980 article of the same name in Boston Magazine, and in the 1983 book, Mysterious America (Faber and Faber, 1983; now in a completely revised 2007 Simon & Schuster edition). A local newspaper published the name "The Bridgewater Triangle" after I gave a library lecture using the phrase in the late 1970s, in the Bridgewater area. 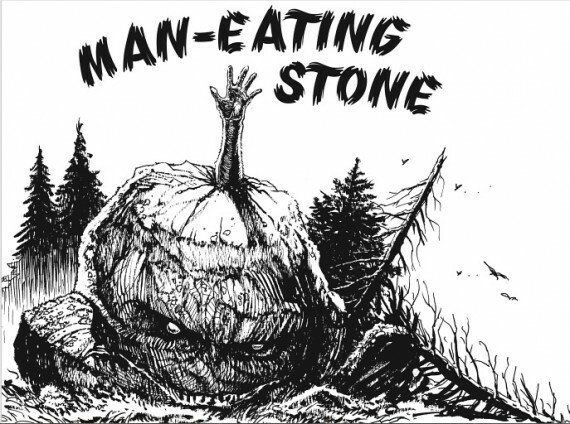 One of the more bizarre legends associated with this Vermont site is the man-eating stone of Glastonbury Mountain, which made its first appearance in Citro’s book The Vermont Monster Guide (2009). The man-eating stone is exactly what it sounds like…a rock that eats people. A Wikipedia editor rather harshly noted that "precisely what area is encompassed in this hypothetical 'mystery triangle' is not clear." Thanks, Loren Coleman. The problem with triangles, I think, is that people expect their boundaries to be rigidly defined -- straight lines and measurable angles. The phrase is simply a metaphor. The lines can undulate, and the angles can open and close. We could as easily and as accurately say, The Burmuda Square, or The Bridgewater Rectangle, but Triangle (i.e. three) has always had stronger metaphysical impact. It is a convenience word, but it surely has taken root in our language. Thunderbirds have been seen in northern Pennsylvania, in an area known as the "Coudersport Triangle," which overlaps with the spooky Black Forest of the same location. Most of the Thunderbird sightings come from the Black Forest region of Clinton, Potter, Lycoming, Tioga, Cameron, and McKean counties, sparsely populated areas of mainly state forests and gamelands. Besides the Thunderbirds, tales of Black Panthers are part of the traditions here. The earliest chronicler of the variously named Coudersport Triangle, Black Forest, or Forbidden Land accounts is the late Pennsylvania writer Robert Lyman, who penned a series of volumes in his Amazing Indeed, Strange Events in the Black Forest booklets. 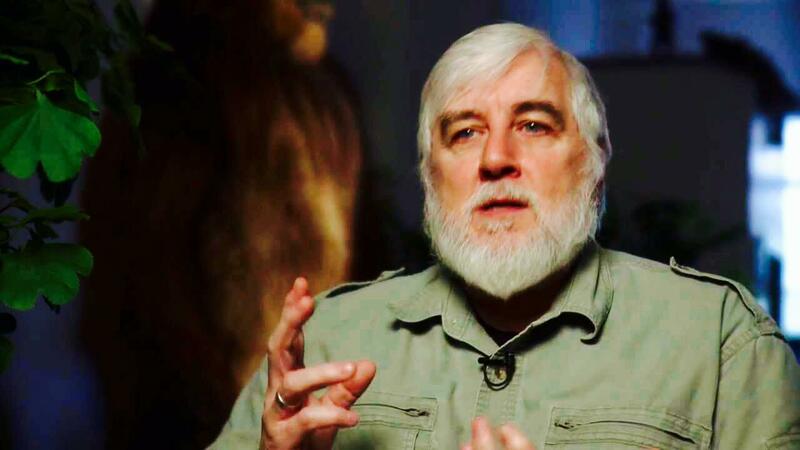 Extending Lyman's work, cryptozoologist and author Mark A. 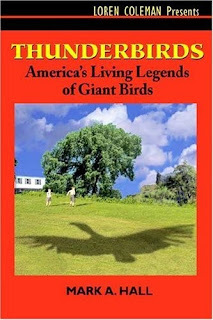 Hall captured more Thunderbird sightings in his chapter on the Pennsylvania accounts in his book, Thunderbirds: America's Living Legends of Giant Birds. In 2004, I traveled to the Coudersport Triangle, on location for an episode of a Discovery science program for young people on the Coudersport Triangle/Black Forest's Thunderbird reports. Other programs have dealt with the same topic. The Animal X program on the Black Forest contains eyewitness accounts from the Coudersport Triangle. Then it drifts into showing the "Chief John Huffer" footage from Illinois of what appears to be turkey vultures, but places the Huffer video incorrectly from Pennsylvania. 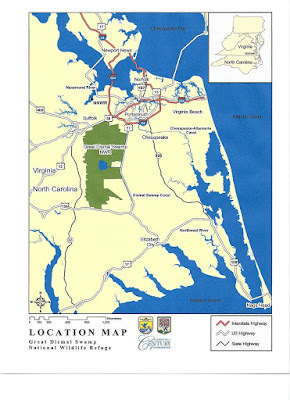 The Great Dismal Swamp is a marshy wetland that goes from Norfolk, located on the Elizabeth River, through southeastern Virginia's Coast Plain into northeastern North Carolina. It has been known as a miniversion of the Bermuda Triangle, on the level of other states' mystery triangles, like the Coudersport Triangle (linked to the Black Forest) in Pennsylvania or the Bridgewater Triangle (aligned with the Hockomock Swamp) in Massachusetts. Reports of ancient mysteries, as well as sighting of giant snakes and Bigfoot, have been associated with the Great Dismal Swamp. Lake Drummond, a 3,100-acre lake, is located in the heart of the swamp, and only one of two natural lakes in Virginia. It was discovered in 1655, by former Scottish indentured servant William Drummond. Drummond went on to be governor of North Carolina, and was later hanged in Virginia. Lake Drummond is almost a perfect circle, and some thought has been given to it having been formed by a meteorite, a peat fire, or a tectonic shift. Native American tradition talks of "the Fire Bird" creating the freshwater lake. 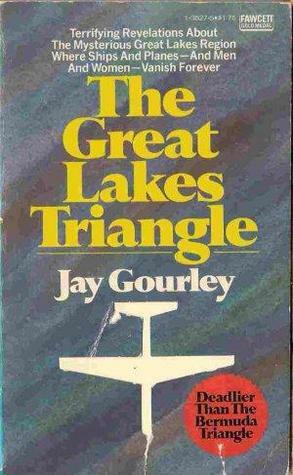 Jay Gourley's book The Great Lakes Triangle first appeared on May 12, 1977. 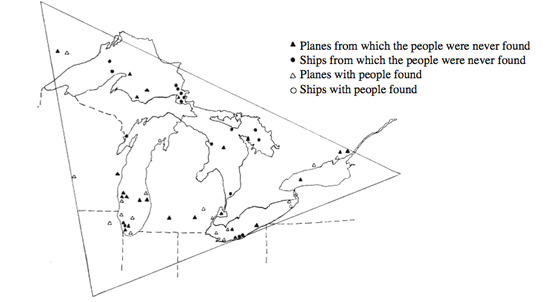 The focus was the disappearance of planes and ships throughout the entire region of the Great Lakes, as shown on the map below. The area was too large for it to be seen as a popular topic for research discussions by the mainstream media. On the television program In Search Of…, the late Leonard Nimoy narrated the episode entitled "The Great Lakes Triangle," which aired on November 2, 1978. Author Hugh Cochrane thanks Jay Gourley in his own book, Gateway To Oblivion: The Great Lakes' Bermuda Triangle. And from there, he expands upon the idea that the Great Lakes are host to vile vortices, UFO hotspots, Earth energies, and an entire catalog of unproven phenomena. 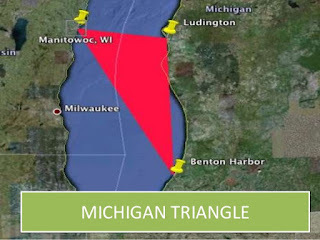 The Michigan Triangle, where many planes, ships, and people go missing, stretches from the town of Ludington to Benton Harbor in Michigan; another links from Benton Harbor to Manitowoc, Wisconsin; the final side connects Manitowoc back to Ludington. The Michigan Triangle is an extension but concentration of Jay Gourley's original idea, earlier, of The Great Lakes Triangle. 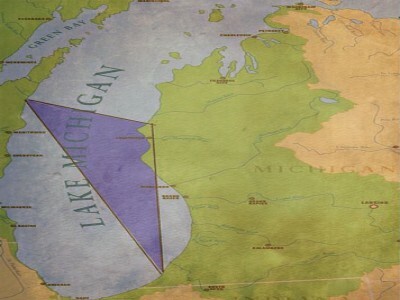 The Lake Michigan Triangle has been mentioned on Willian Shatner's Weird or What?, it has a place entry on the Atlas Obscura, and the Travel Channel's Mysteries at the Museum reported on it. Well, since that Fortean researcher was me (Loren Coleman) and I didn't use a magic marker in the 1970s (not the 1980s), I am honored by this cute passage, anyway. Ben* goes on to notice the strange coincidences of his own area's phenomena - in a rough shape configured with three towns named Lick on each corner. Then he coined the name The Big Lick Triangle. His body of linking evidence shows he had fun, especially since his area is "roughly 2269.9 square miles of weird" compared to 200 square miles of the Bridgewater Triangle. He surprisingly found much more that was strange in this Triangle that he reckoned for, and he appears to have been overjoyed with his discoveries. My personal favorite in The Big Lick Triangle - and one that I have mentioned in my books - is the green, 10-foot-tall monster with glowing red eyes, seen in March 1965, by teenagers in the woods south of French Lick, Indiana. It grew to be called “Fluorescent Freddie." Unfortunately, it never became as famous as that other local tall native - Larry Bird. *Update: "Ben" read this selection and got in contact. He identifies himself as Ben Schneider, and pointed out the fact "The Big Lick Triangle" has a curious name game to note. There is a "Bridgewater" name inside the configured area. It's the Bridgewater Cemetery in Scottsburg, Indiana, a town near the northern border of the Big Lick Triangle. Quoting from Ben's blog, the Bridgewater Cemetery is "haunted by an entity called 'Old Red Eyes.' It is often seen glowing at the back of the cemetery. A black form or object will often circle around cars, and handprints will appear on the windows. A white phantom horse sometimes chases gawkers away at night, and there is also the glowing tombstone of a man who awakens at night and guards the front gate." Ben's comedic relief is apparent in his creation of this Triangle, but there's no reason to leave it off the list of Triangles, even if we know he's somewhat doing this exercise with his tongue firming in his cheek. He may have been hiding his Fortean wit behind his sarcasm, but the end result was pure satisfaction and enjoyment. And good research. 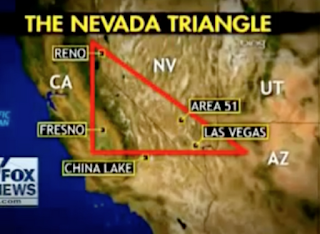 The disappearance of maverick aviator and daredevil entrepreneur Steve Fossett in 2007 brought into focus an area called The Nevada Triangle. Observers have documented more than 2,000 planes having crashed there in the past 60 years, including reports of UFOs and alien abduction, in the area that encompasses Reno, Fresno, China Lake, Las Vegas, and Groom Lake, a/k/a Area 51. Any location with Area 51 appears destined to be an enigmatic area, right? The Alaska Triangle is also called Alaska's Devil's Graveyard, because so many ships and airplanes have disappeared there. The so-called Alaska Triangle slices through four of the state's regions, from the southeastern wilderness and fjords to the interior tundra and up to the arctic mountain ranges. Its points include the large swath of land from Juneau and Yakutat in the southeast, the Barrow mountain range in the north, and Anchorage in the center of the state. The Southern Triangle of Illinois forms an area also given the name "Little Egypt" or "Egypt." The Triangle forms nicely from the southern third of the state of Illinois. With the area code 618, the southern part of Illinois is geographically, culturally, and economically distinct from the rest of the state. The region is bordered by the most voluminous rivers in the United States: the Wabash and Ohio rivers to the east and south, and the Mississippi River and its connecting Missouri River to the west. Southern Illinois' most populated city is currently Belleville (see The Bell Name) at 44,478. Other principal cities include Alton, Centralia, Collinsville, Edwardsville, O'Fallon, Harrisburg, Mt. Vernon, Marion, and Carbondale, where the main campus of Southern Illinois University is located. It also has a campus at Edwardsville. Residents travel to amenities in St. Louis and Cape Girardeau, Missouri; Memphis, Tennessee; Evansville, Indiana; and Paducah, Kentucky. 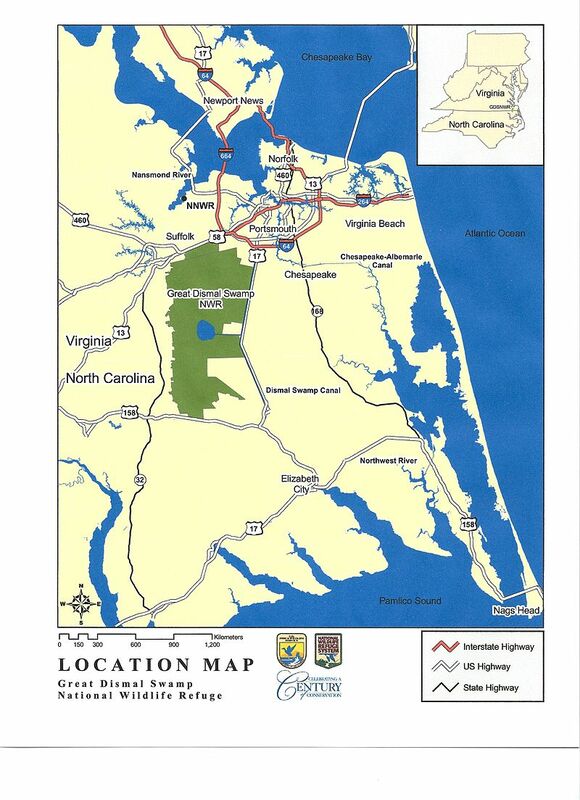 The region is also home to a major military installation, Scott Air Force Base. The name game is strong in Little Egypt, with Thebes, Karnak, New Memphis, Dongola, and Cairo having lexilinks to ancient Egypt. SIU-C's students attending Little Egypt's leading university read The Daily Egyptian and call their athletic teams "The Salukis" (Egyptian hunting dogs). In nearby states, you find West Memphis and Memphis. Some have related these names to the strong Egyptian influences in the Supreme Council, 33°, Scottish Rite of Freemasonry, Southern Jurisdiction, which had a sway over this area, technically south of the Mason/Dixon Line. Little Egypt's Fayville (see the Fayette Factor), Illinois, is an unincorporated community in Alexander County, Illinois, located along the Mississippi River south of Thebes. First appearing in print as "The Ossipee Triangle" in Info Journal, Vol 12-13, 1987, the label was inspired by The Bridgewater Triangle. The name was coined by investigator Ken Moak. The Ossipee Triangle includes most of Carrol County in eastern New Hampshire, and at the center is Ossipee Lake. The Ossipee Triangle is the home of Mystery Pond (now called Snake Pond), UFOs, Indian mounds, ghost stories, disappearances of boats and planes, and other oddities. The map was created by the Mandate Interstate 93 (see below) folks, and they note The Ossipee Triangle "would include Mounts Shaw, Sentinel, Cannon, and Lafayette. Mystery Hill and Lake Winnipesaukee." The latter lake syncs with the fictional site of the movie, What About Bob? 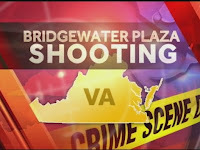 and the Bridgewater Plaza shootings. The following (slightly revised) press release on The Bridgewater Triangle: America's Bermuda Triangle is from Bristol County Media. In October of 2013, The Bridgewater Triangle documentary premiered to a sell-out crowd of over 750 people at the University of Massachusetts Dartmouth. One year later, the exclusive US broadcast rights to the film were licensed to Discovery Communications’ Destination America network. The channel will air a 42-minute (broadcast hour) version of the documentary under the title, The Bridgewater Triangle: America’s Bermuda Triangle, a name which they hope will help to draw-in a broader national audience. The film will broadcast on Saturday, September 5th at 10:00 PM Eastern Time. Viewers are encouraged to check with their local cable and satellite providers for availability and channel number. To celebrate the occasion, a free viewing party will be held that same night at Christopher’s Lounge at 1285 Broadway in Raynham, Massachusetts. The event is open to the public and will begin at 8:00 PM with a screening of the original 90-minute directors’ cut of The Bridgewater Triangle. At 10:00 PM, Christopher’s many televisions will be tuned in to Destination America as The Bridgewater Triangle (airing as The Bridgewater Triangle: America’s Bermuda Triangle) makes its debut on national television. A number of the film’s cast and crew members will be present at the event. This early 2000s map of the Bridgewater Triangle was created for a Boston Globe article about the area, and gave a decidedly more humanlike than cryptozoological slant to the traditions. 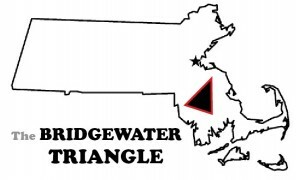 Do you know of more "Bridgewater Triangles" in America? If so, let me know (here). and purchase Mysterious America to read more about the Bridgewater Triangle. Quite impressive list of triangles in the United States. boundaries. Phenomena will bleed over into adjacent areas. the large UFO north of the city. Indiana to check the local newspaper morgues. Do you recall hearing of these events? Having lived in western Michigan during the bizarre UFO flap of March 1994 (I witnessed one near Hudsonville, Michigan on March 20, 1994), I can attest that something weird looks on, above and below the waters of Lake Michigan. 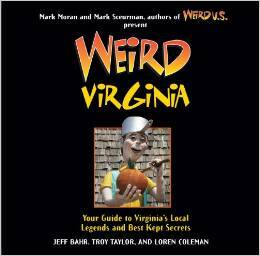 Bridgewater also has an admittedly tangential connection to the Point Pleasant West Virginia 'Mothman' tragedy (of which Coleman is a major contributor/writer about, naturally enough). How so? Well it was a 'bridge over water' tragedy, the collapse and deaths a culmination of the Mothman mystery, at least in West Virginia. A bridge also symbolizes the connection between two different domains, the conscious and the subconscious (land and water respectively). So much can and is written about the connection between water bridges and UFO sightings/otherworldly encounters. I also remember reading that there was a Dismal Swamp in Ware, MA where out-of-place crocodilians were occasionally encountered. (My source for this being Janet & Colin Bord's 'Unsolved Mysteries of the 20th Century'). Might there be some sort of name-game strangeness surrounding the Dismal Swamps of the east coast? Back in the late 1990s I had to travel to Taunton, MA for business purposes. I can recall a few odd occurrences. One time while driving eastbound on Rte. 44 in Rehoboth, MA, I had to break suddenly as I saw three black discs falling towards my windshield. As I pulled over to the side of the road, there was no impact as these discs disappeared. I got out of the car to try to see if there was anything hanging from the electric wires or surrounding trees (it was late fall, so the trees were bare) which might explain what I saw. Nothing. Another time while staying at the Holiday Inn in Raynham, the hotel lost power. The back-up generator also failed, so the hotel was dark for several hours. The next day, the Manager said the Utility Company could not find any reason why the power failed or why the back-up generator failed. Loren, Are you familiar with the Palmyra Island curse-some say that area is a triangle? Great topic, Loren. Are you familiar with Palmyra Island in the Pacific? Some say it is cursed or it is a triangle area, too. Looking forward to this documentary. Here is another Bridgwater, MA incident. 03.11.2015 A burnt body found on the MBTA tracks in Bridgewater. Sad, disturbing. Symbolic? Immolation, or at least cremation. Train tracks indicate destinations, destiny, time/distance, time/space. Perhaps not the intention of the killers, but its the image that's left in the news viewer's mind.